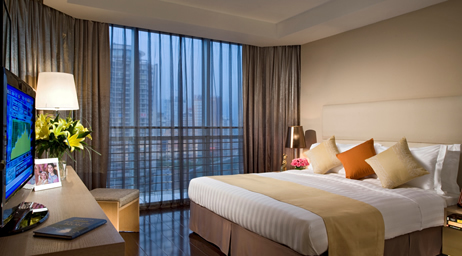 Somerset JieFangBei is located amidst most of the Fortune 500 companies in the bustling downtown financial and business district of Chongqing. 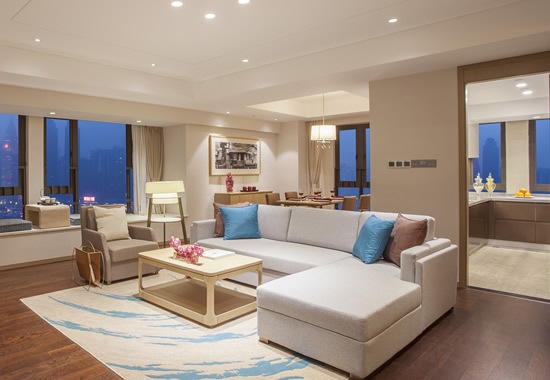 The serviced residence puts you in close proximity to banks, offices, shopping malls, restaurants and it is a short walk to the beautiful Pedestrian Street and Lin Jiang Men Light Rail Transit (LRT) station.Somerset JieFangBei offers modern and stylish homes with breathtaking views of the Jialing River and the lively city. Its studio, one- and two-bedroom apartments feature a spacious living / dining room, fully-equipped kitchen, home entertainment system and high speed broadband internet access. 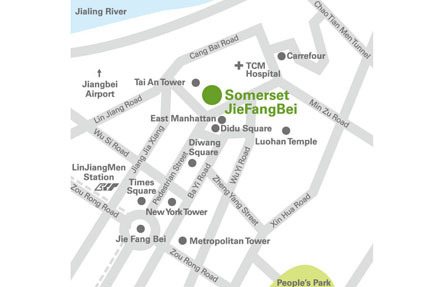 Conducting business in Somerset JieFangBei is easy and convenient. 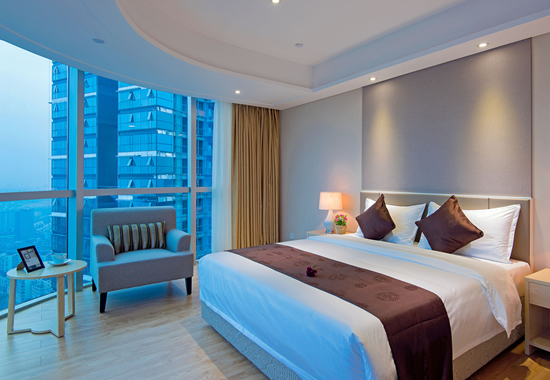 With the China Industrial Bank right at your door step and well-equipped meeting rooms, you will have complete business connectivity in the comfort of your own home. 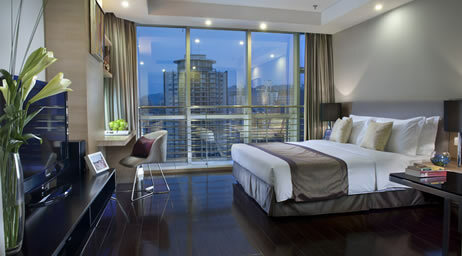 It is ideal for Business people and their families looking for a balanced and enriching lifestyle. Unwind with a refreshing dip in our indoor swimming pool, Jacuzzi and sauna rooms or go for a good workout in our fully-equipped gymnasium. 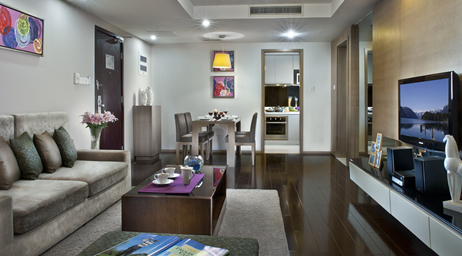 You can also choose to have casual dining by the barbeque area overlooking the serenity of the Jialing River. Experience Somerset’s signature Heartware service – always caring and striving to deliver. 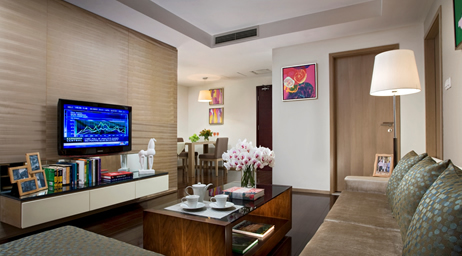 We understand your needs for a balanced and enriching lifestyle and tailor the residence to exceed your expectations.